The first step in recovering from any addiction is to admit there’s a problem, and it’s become unmanageable. It can be a crushing blow to our egos admitting that we’ve lost control. But the truth doesn’t change, our willingness to face it does. It’s only then that we can truly see just how imbalanced our lives have become. Without doing some serious work, life after rehab can quickly spiral out of control. Evidence of that chaos is pretty easy to spot. That stack of unopened mail getting taller each day like a newly constructed skyscraper. All those phone messages from family and friends that feels way too overwhelming to return. Those student loans that are in default collecting a high interest. Or the apartment you can’t seem to clean and, therefore, never invite anyone over to…further isolating yourself from the world. What about navigating the social scene when you leave rehab? Once you’re released from the juggernaut of addiction and tossed back into the “real” world, then what? 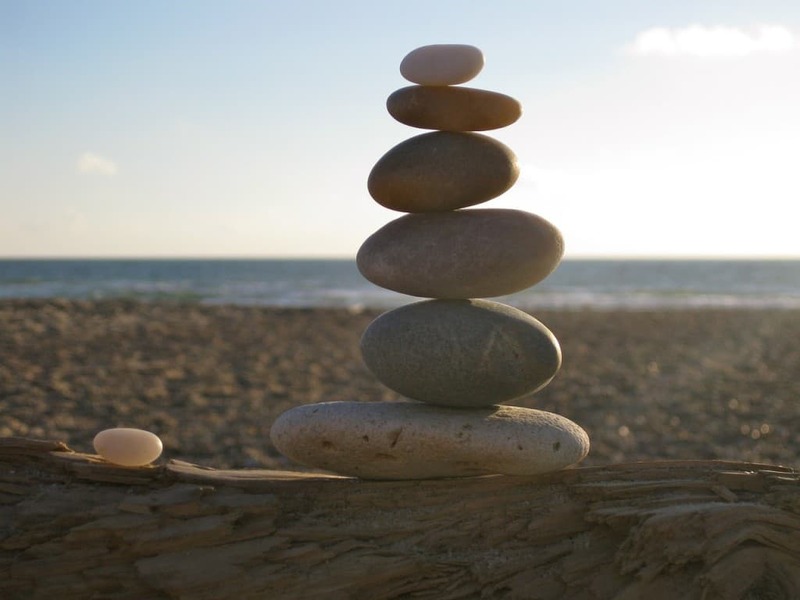 It’s all about balance; finding what works best for you and sticking to a sober game plan. Here are 5 valuable tips that are sure to help you find balance in life…without relying on drugs or alcohol as a crutch. Set aside small increments of time for each daily task. Start by opening three pieces of mail. If what’s inside causes that dreadful sinking feeling in your stomach, stop and call a sober friend, family member or therapist. If the mail’s too much, move on to something else…cleaning, for example. Start with the smallest room of your house – like the bathroom – then treat yourself to a hot bath. Learning how to break life’s day-to-day tasks into smaller manageable accomplishments is vital to any sober alcoholic or drug addict at any stage of sobriety. No matter how insurmountable the wreckage seems, it’s very possible to clear it all up, just not in one day. We build sober reference but not picking up one day at a time and staying sober through the uncomfortable feelings. Part of creating a balanced life in sobriety is taking care of your body. That means it’s time to schedule that physical you’ve put off and make an appointment to see a dentist. Or maybe you can’t see very well anymore and you need to go to the eye doctor. No matter your physical ailments, now’s the time to focus on healing and wellbeing. Plus, this is a great way to practice self-forgiveness; you need to be sure that you’re treating yourself the way you would treat a newly sober friend. You’ll be surprised how much energy this frees up in you. So many newly-sober addicts spend their time trying to act like they’ve got it all together. Everything looks calm, cool and collected on the surface; meanwhile, things are falling apart on the inside. Creating balance in your social interactions is key to your sobriety. Don’t wear yourself out trying to be the social butterfly that alcohol or drugs have allowed you to be in the past. Trying to keep up with others could prove to be detrimental to your sobriety. What Would Suze Orman Do? One of the best “perks” of sobriety is saving money. Now that you’re not spending all that cash on booze and bags – or you’ve substituted shopping for martinis – a solid financial plan is a great way to create balance in your new sober life. So, what should you do with all that extra money? Start by making a realistic monthly budget and follow it. You might even want to meet with a financial guru and discuss how to go about planning a secure future. This will alleviate stress and show you how to use that funding to create a more balanced life.